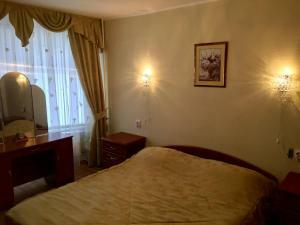 A-HOTEL.com - Luxury and cheap accommodation in Osadnaya Balka, Russia. Prices and hotel, apartment booking in Osadnaya Balka and surrounding. Apartament, Druzhby - 25 is located in Volzhskiy, 6 km from Volzhskiy Bus Station and 5 km from Volzhskiy Art Gallery, in an area where fishing can be enjoyed. This property offers access to a terrace. Offering city views, Апартаменты на Мира 47 is an accommodation set in Volzhskiy, 6 km from Volzhskiy Bus Station and 6 km from Volzhskiy Art Gallery. The accommodation features free WiFi.